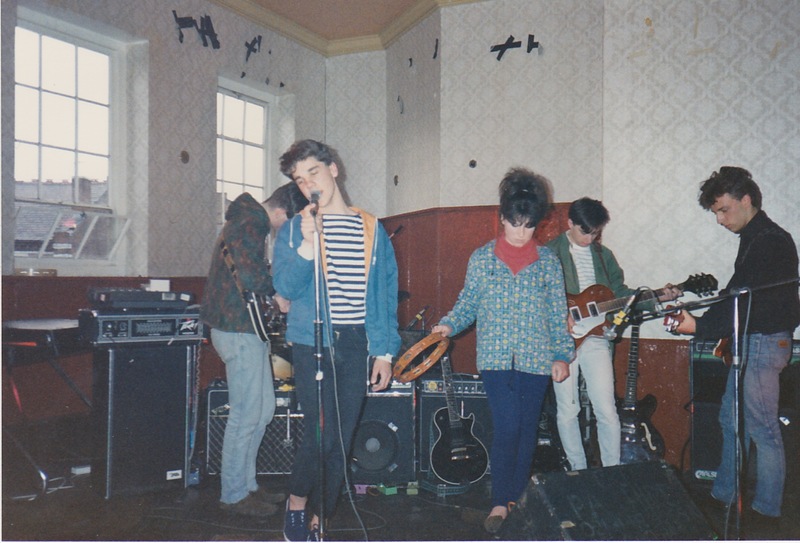 The Sea Urchins were a near legendary indie band formed in 1986. 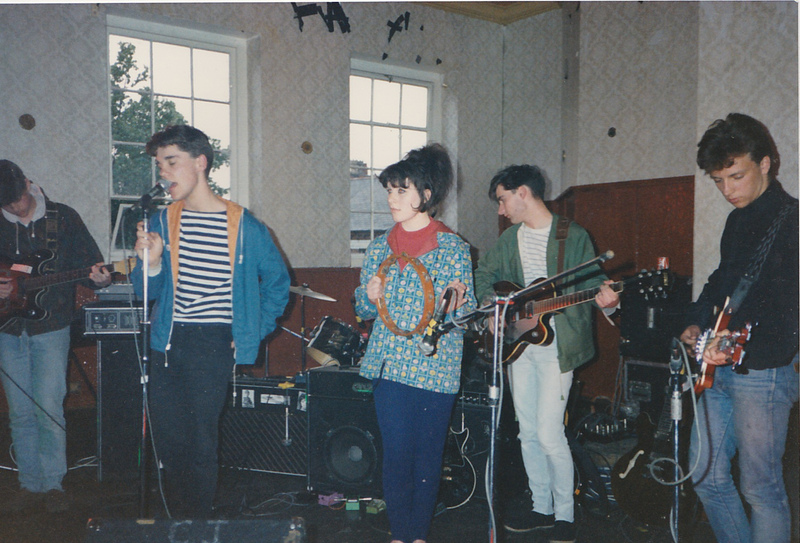 They were the first band to release a single on the similarly legendary Sarah Records. 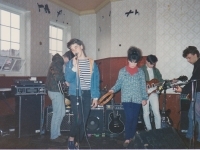 The initial line-up was James Roberts (vocals), Simon Woodcock (guitar), Robert Cooksey (guitar), Mark Bevin (bass), Bridget Duffy (tambourine, organ), and Patrick Roberts (drums).Their first two releases were flexi discs given away with fanzines in 1987. Bevin left, to be replaced by Darren Martin.Their “Pristine Christine” single was the first Sarah Records release, and is highly coveted among vinyl record collectors. With the following year’s double-A-side “Solace”/”Please Rain Fall” they began to show more mod-rock influences. Both singles were successful in indie terms, but Sarah Records were unwilling to commit to an album, and Duffy and Martin left. Woodcock took over on bass, with James Roberts adding guitar. The band released one more single for Sarah (“A Morning Oddyssey” in 1990), but disagreements about the next single saw them move on to Cheree Records, who issued “Please Don’t Cry” in 1991. 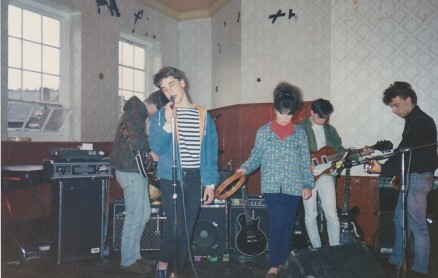 The band split up in summer 1991. 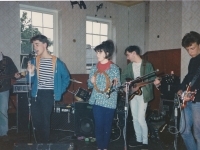 Two albums were subsequently released; Sarah Records issued a compilation of the band’s material for the label, including the flexi-disc tracks, as Stardust in 1992, while Fierce Recordings issued a live album in 1994. James Roberts, Cooksey, and Woodcock later formed the band Delta. James Roberts, Patrick Roberts, and Robert Cooksey also formed The Low Scene. Mike Geohagen (who quite rightly point out the lack of an entry to the group) also sent these photos in. I still have that first single. In my loft still in its polythene bag. Worth a lot of money that Jason – Sea Urchins vinyl goes for a lot of money on Ebay etc!